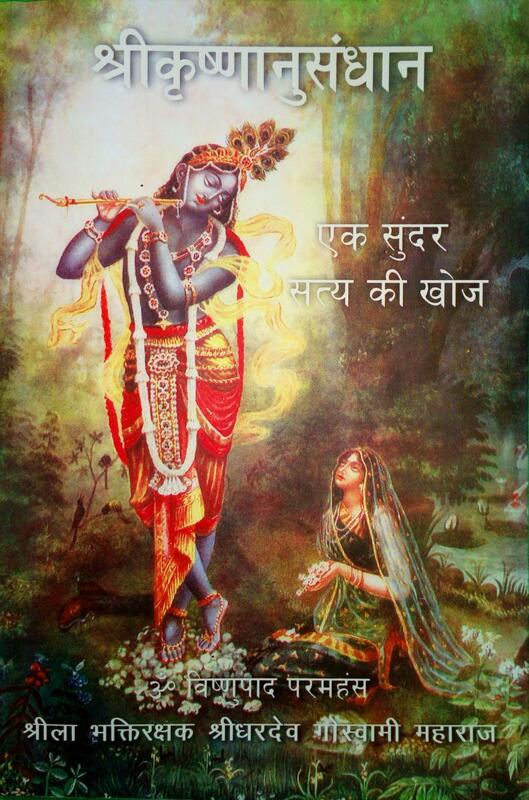 This is the Hindi edition of The Search For Sri Krishna, Reality the Beautiful. A penetrating look into the Center of the Infinite. Breaking through archaic misconceptions, Search for Sri Krishna, Reality the Beautiful, reveals the supreme divinity as beautiful, affectionate, loving, and very personal. Swami B.R. Sridhar explains the origin of the soul and the souls path of subjective evolution through devotion. He explains the necessity of a spiritual guide and how to approach the spiritual science. Parallels to Christianity are discussed as well as the six major philosophies of India. As only a perfected soul can do, he reveals the progressive levels of God realization culminating in the Krishna conception. The spiritual beauty and power of the Hare Krishna Mantra is described as well as what to avoid while chanting for the ultimate result, the inconceivable ecstasy of divine love. Search for Sri Krishna reminds us that we are spiritual beings and our real home is the spiritual realm, the land of love, and the abode of Sri Krishna.